Tuesday evening, fellow San Francisco Edelman Digital colleague @AliHillman and I attended the Harvard Alumni Founders Series at the University Club of San Francisco where we had the pleasure of meeting Charlie Cheever who co-founded the up-and-coming social network, Quora. The Founders Series occurs every quarter featuring Harvard alumni who have taken the plunge and started their own venture here in the Bay area. 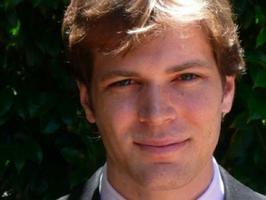 Cheever, previously an engineer at Facebook who oversaw the creation of Facebook Connect, presented Quora’s capabilities and what the future holds for online knowledge management systems. Founded in June 2009, Quora takes a “Wiki-approach” to questions and answers, effectively downloading high-quality knowledge, facts, and wisdom from some of the Internet’s brightest minds. Want to know the hottest clean tech startups in China? Ask Quora. Want to know where you can rent a baby elephant in the Bay area? Ask Quora. Want to know what the best North Korean restaurant is in Istanbul? Ask Quora. Quora is focused on two pillars: quality and reusability. Just as a community manager moderates a discussion on Facebook or on forums, Quora has a governing body of people who are seen as reliable users. Cheever summed this concept up when he said, “It’s kind of like a city.” There are folks who hold more influence and power than others like city officials. This group enforces the site’s core principles: be nice and make each question a great resource. The site also places importance on grammar and spelling, so answers require more of an effort. And, aside from the governing body and set of rules, average users have an influence as well. They can vote answers up and down, which helps weed things out. Now that we’ve covered quality, there’s the concept of reusability. Many people pose different questions, all looking for the same answer; therefore, Quora redirects similar questions to the same question page. This solves the problem of having to sift through content that would have come up in a search result. 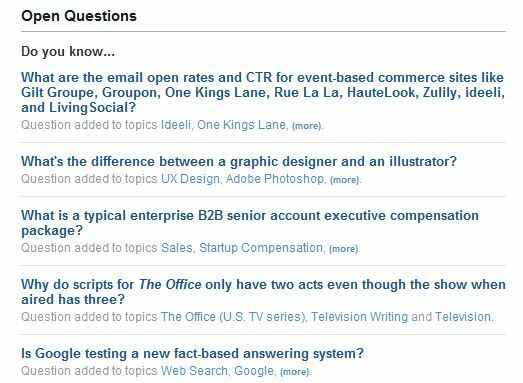 Quora consists of two main groups: people who write questions and people who answer questions. Cheever says the answers group is the most important group because they build the product of Quora. However, there’s also a third group consisting of users who only read questions and answers; people who neither pose questions nor answer. This user group drove Quora to hone in on the concept of reusability. Now, as a user begins to create their profile in Quora, the have to use your real name, provide a detailed and topic-specific bio. There is no anonymity besides the option of asking questions anonymously. In early iterations, users were able to comment anonymously, but Quora later did away with this feature as it was unhealthy for the site when people began putting down other users. Note: there is a revision log, so users are able to see who has made edits and how. “This includes the text of questions and the details around them, what topics are attached to which questions, and the summaries of answers. Quora relies on the good faith of everyone using it to make it a high quality resource,” as mentioned on the Quora website. Another interesting and important feature is that the user profile is deemphasized. Rather, the questions themselves are the focus. Quora is now seen as a “high-quality resource” mainly because reputable users are actively participating in the space. One audience member asked how Quora has so many revered and trusted folks participating on the site. Cheever said it was like a ripple effect: after him and his colleagues started using it themselves they then naturally invited their friends. Coincidentally, their friends knew other people who were top influencers. He also owes this to their dedication to quality and positive news coverage. That being said, Quora might just fit in the space between social networking sites (e.g., Facebook, Twitter, blogs) and collaborative information sites (e.g., wikis and forums). Cheever explained the purpose of Quora is to draw out the content that would never be a fit on these platforms. There are many reasons to use Quora. Of course the most obvious one being it’s a place to gather information — whether it be trying to find the best places to ski or asking the founder of a growing startup what motivates him or her. But, have you ever thought it might also be a place to build a brand? Cheever explained that Quora can be used as a space where users position themselves as thought leaders while they build a reputation through active participation and building a following similar to Twitter. As many of you have seen by now, Macy’s has kicked off their new in-store QR codes with their Macy’s Backstage Pass campaign. A new mobile consumer initiative, Macy’s Backstage Passes are customized QR codes that deliver video content featuring Macy’s celebrity designers and fashion authorities. Macy’s videos offer essential tips, trend information and behind-the-scenes looks at collections that will help customers in-store learn more about the brands/designs as they shop. Designers participating include makeup maven Bobbi Brown, Sean “Diddy” Combs, Tommy Hilfiger, Michael Kors, Greg Norman for Tasso Elba, Rachel Roy, Irena Shabayeva for I.N.C., and a host of the nation’s most influential fashion bloggers for Macy’s newest exclusive collection, bar III. Additionally, the campaign will feature content by Martha Stewart and Madonna’s Material Girl in videos. Many businesses have recently folded QR codes into their social media campaigns and this emerging technology in the U.S. is becoming a very popular must-have with retailers. What are your thoughts on this campaign and the future of QR codes? Do you think they are here to stay? Want a taste of this before you go into Macy’s and try it out in stores? Check out more on Macy’s efforts in-stores now and atwww.macys.com/findyourmagic. 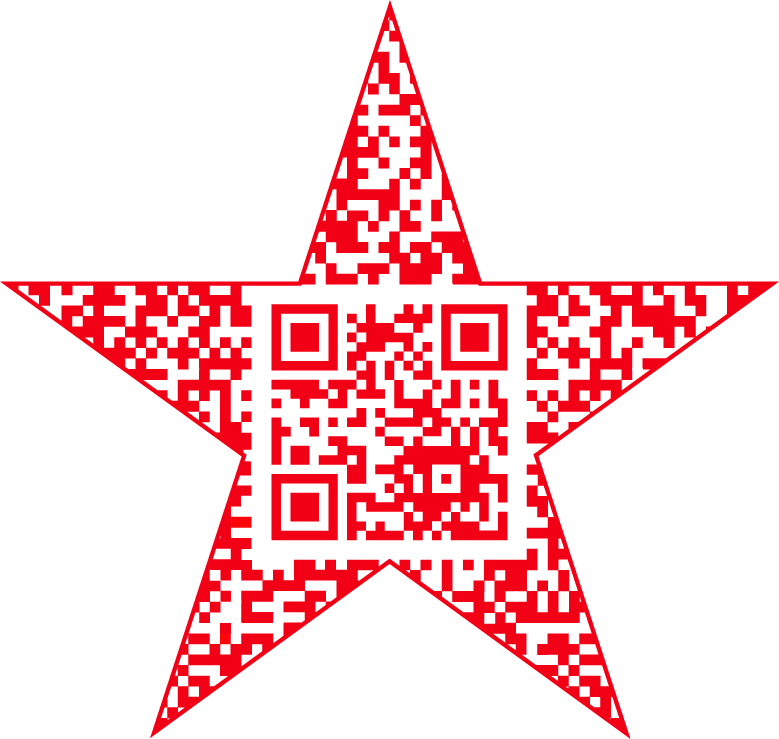 And, for a quick demonstration, just scan the red star code below using a QR code reader on your smart phone and your device will do the rest. You can either scan your computer screen or print the code to scan. Special tip: If you don’t have a QR code reader on your smart phone or video-enabled device, just text “reader” to MACYS (62297) to receive a free QR reader download. This Backstage Pass below features a quick fashion tip from renowned designer Rachel Roy. Her Backstage Pass codes can be found in-store within Rachel Rachel Roy shops at Macy’s.